We said, Let there be light: and there was light. 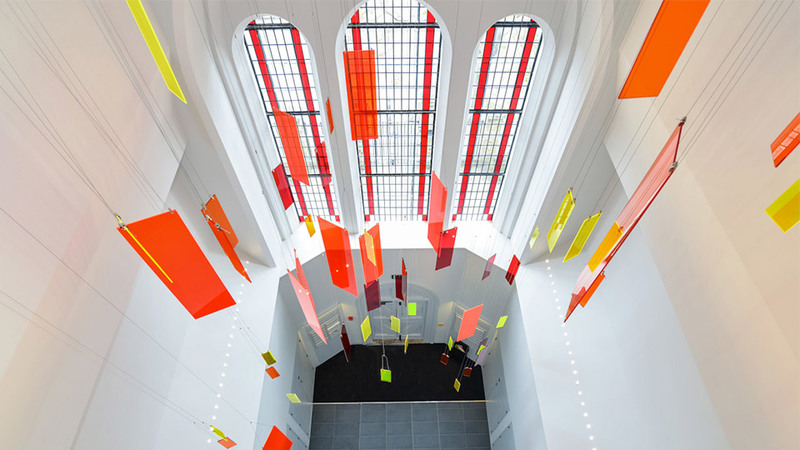 At Nulty we’re big fans of quirky residential properties so knew early on that this converted place of worship would be something rather special. Set over an impressive six floors within a listed 1830s church, this characterful apartment development sits mighty proud in its East End surroundings. So the challenge was on to make sure the communal areas and exterior entrance had a lighting design solution that respected the one-off property, but also made a bit of a, let’s say…statement. Stepping inside, high ceilings and large ornate windows evoke a sense of grandeur expected of a building steeped in history. The large, airy space and imposing architecture is complemented by a clean and simple interior lighting scheme. 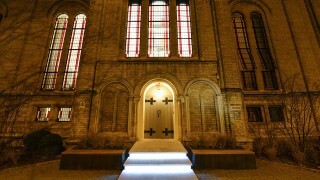 Outside, the arched stone entrance is bathed with light showing off the sturdy front door, while the steps leading up to it have integrated lighting that’s sleek and modern, adding a splash of contrasting drama. The pièce de résistance? 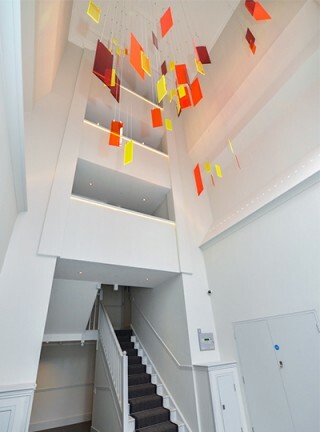 A you-can’t-miss-it bespoke chandelier made up of red and yellow perspex rectangles hanging majestically above the entrance hallway. Reflecting the tones of the stained glass windows and with a stark white backdrop, it creates splashes of coloured light on the walls and movement within the space. 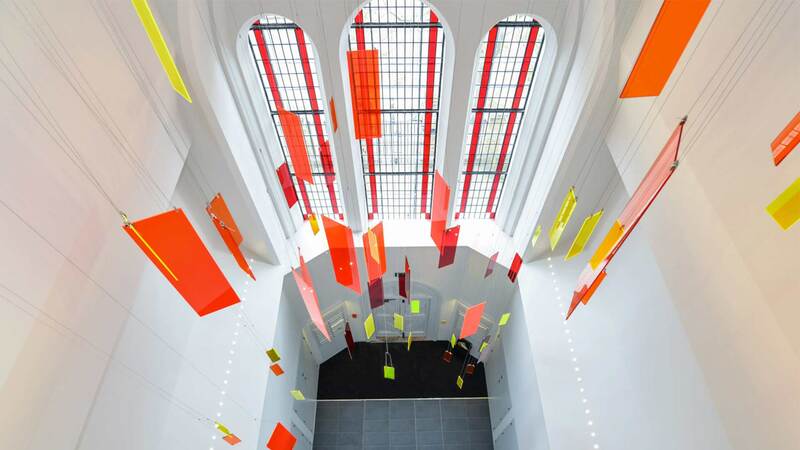 It’s exactly the “statement” we were after – it’s become a much-loved centrepiece for residents and guests, which makes us very, very happy. The way the chandelier's just as effective during the daytime as it is in the evening. A simple cost effective solution with real impact.